The women reported the incident, including the license tag on Sayoc's van, but court records show he was never charged. 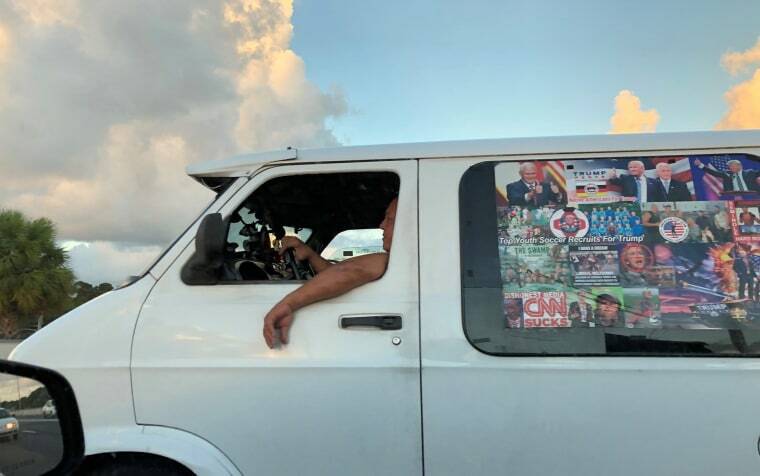 FORT LAUDERDALE, Fla. — A police report says mail pipe bomb suspect Cesar Sayoc was accused earlier this year with throwing urine from his van at two women on a moped in Florida. The Hollywood Police Department report says Sayoc pulled up near the moped, began yelling obscenities and tossed two vials of urine at the women. The first missed, but the second one drenched one of them. Sayoc is accused in New York of mailing 16 improvised explosive devices to Democrats, critics of President Donald Trump and to CNN. He was arrested in October in Florida and faces life in prison if convicted. The Miami Herald first reported the urine incident.